This is our first featured hot book cover by an Aussie author! I love the dramatically dark colours to this cover. There appears to be mystery and something sinister going on. The design is fresh and sophisticated. This is definitely an eye catching cover - and it makes me want to know what the story is all about! 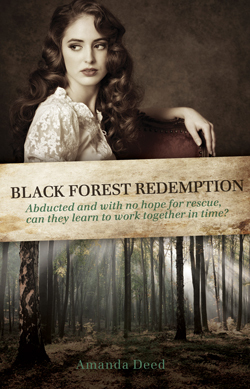 Black Forest Redemption is Amanda Deed's third novel, releasing in October 2012.